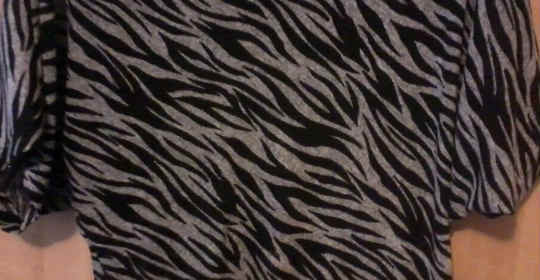 Animal print comes in any style clothing, shoes, and accessories. This wild trend doesn’t look tacky, especially when incorporating one piece to your outfit. If you don’t feel like wearing a cheetah print top is your style, don’t despair as you can easily find a lovely cheetah print pair of heels, earrings or even a belt. Unless animal print from head-to-toe is your style, check out these cute items which can easily match with any outfit. Another great thing about this type of print is that colors are usually neutral, unless you shop for a funky pink zebra top or blue cheetah pumps, and even then these items will balance a neutral outfit with a wild pop of color! This cute and comfortable dress is a great neutral option. A very feminine shape perfectly paired with black pumps or flats. Add a bright blue or yellow pair of hoop earrings if you want to add some color to this outfit! This casual tote is perfect for everyday wear, or for when you need to brighten up an outfit with cool accessories. These adorable pumps are perfect to glam up a little black dress. Open-toe with a concealed platform will make these your favorite pumps when you want to show off your wild style. If you’re shy on this trend, or can’t necessarily wear animal print to work, try a low-key belt! This skinny belt looks great with slacks as shown on the picture, or cinched around your waist over a nice black dress. This pretty aqua one piece is a great choice to lounge around the pool or take on vacation. Wear it as a halter, or take off the tie to turn it into a tube top piece. Colorful and fun makes a perfect combination for a great time by the pool. Stylish even in cold weather! This trend is versatile from the warmer seasons all the way to the cold seasons. Wrap an animal print scarf around your neck to add a wild flair to a plain t-shirt. Pair this adorable skirt with a black top and pumps for a cute yet professional looking outfit. I adore those pumps and aqua swimsuit, they’re adorable! As well as the pencil skirt, well I pretty much like all these picks that’s why I shared them with you! Which is your favorite animal print fashion item?! 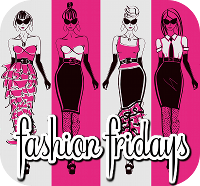 Head on over to Blonde Episodes for more great fashion Friday reads! Love all the pieces, ASOS in particularly has been doing great animal prints this season. It’s fun that we’re also seeing more than just cheetah with zebra stripes.